There are several hot ponds in the Puna district on the east coast of the Big Island. 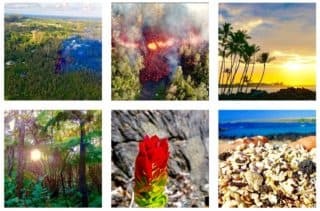 Most are publicly accessible and especially if you are staying more than 7 days on the Big Island these make a great addition to your itinerary. UPDATE: the 2018 eruption of the Kilauea volcano in the lower Puna district (more info) has covered both Ahalanui and the Kapoho tide pools. A Hui Hou. What makes the hot ponds so warm? Please be aware that bathing in the hot springs while having broken skin is not advised. Read more about possible hygiene concerns here. What makes Hot Springs, hot? Have you ever wondered what it would be like to sit in a warm pool that is heated by volcanic energy? From personal experience I can tell you that it is pretty great, especially if you think about what makes the water warm! It rains a lot on the windward (East) side of the Big Island, up to 300 inches (10 meters) per year. Most of this water does not flow directly to the ocean but sinks down into the ground until it hits a barrier. On the Big Island this barrier is made out of salt water which is heavier than fresh water. The water in this layer then slowly dissipates to the edge of the island and flows into the ocean. In the volcanic area’s on the Big Island, the water flows through rocks that are heated by magma. This heat is absorbed by the water and taken along to the coast. As the water moves away from the magma it cools down a bit (especially if cold water mixes in), but the water stays warm enough to give the visitors of the Big Island a comfortable warm bath! Sadly Ahalanui County Beach Park has been overrun by lava on July 11th. Ahalanui park is the park built around the Ahalanui warm pond. There is a picnic area, showers, and toilet facilities. It is a popular destination for locals, and especially during the weekend the place gets crowded. It is best to visit during the week and to arrive early in the morning (before 9 a.m.) to avoid the crowds. The Ahalanui hot Ponds in the Puna district on the Big Island, Hawaii. The pool is partly walled off from the Ocean to create a lukewarm swimming pool. 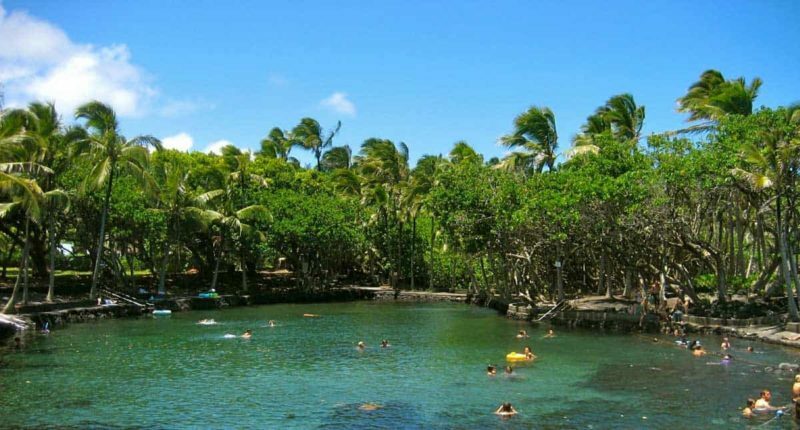 The Pohoiki warm springs are part of the Isaac Hale Beach Park in Puna. 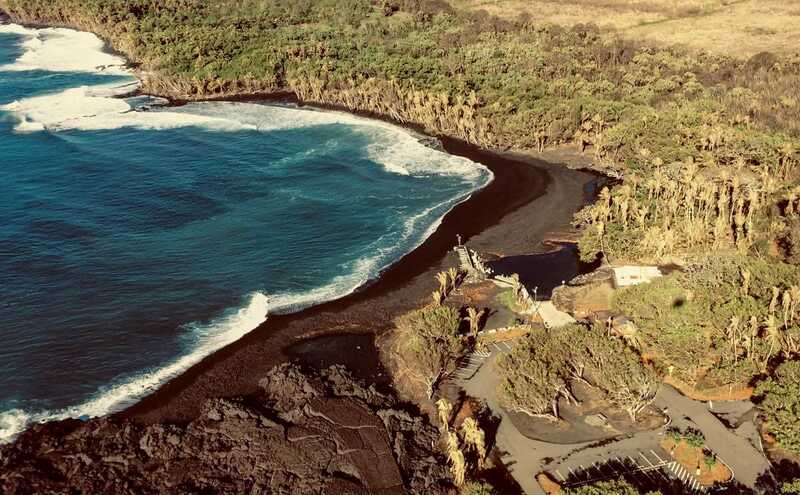 The 2018 LERZ eruption has changed Pohoiki Beach Park significantly and now it is home to the newest black sand beach on the Big Island! This is a beautiful beach and well worth a visit. It also created four Natural Ocean Thermal Ponds that are contained by all the new black sand. The Department of Health warns that these ponds are not disinfected and that, due to the risk of bacterial infections, the public should not enter these ponds if they have open wounds. Enter these ponds at your own risk. Sadly the Kapoho tide pools have been covered by lava on June 4th. The Kapoho tide pools are a beautiful but difficult to reach snorkeling spot in Kapoho bay that is praised in almost every guidebook. 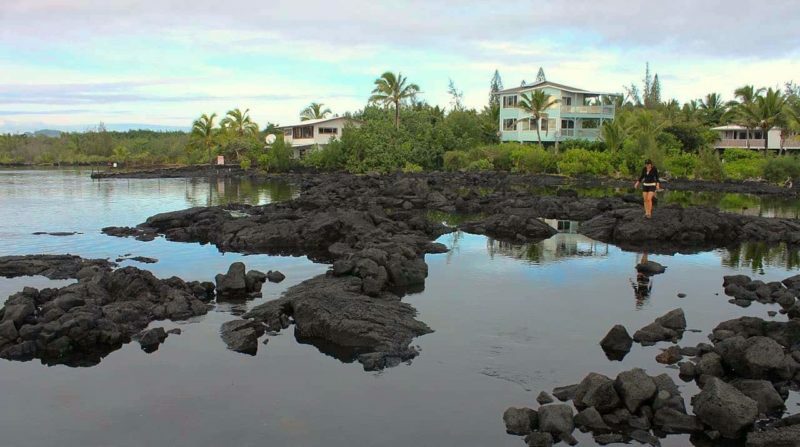 Some of the ponds are heated by warm water seeping out of the lava rocks and into the pools, which explains why this great snorkeling spot made it into our list of Big Island hot springs. The tide pools are protected from the waves by a basalt ridge just off shore and get flushed out with fresh water twice a day as the tide comes in. Inside this natural wall you can find a maze of tide pools to explore. These conditions are ideal for coral growth and the Kapoho tide pools host one of the most diverse and highest coral covers as far as east Hawai‘i reefs go. 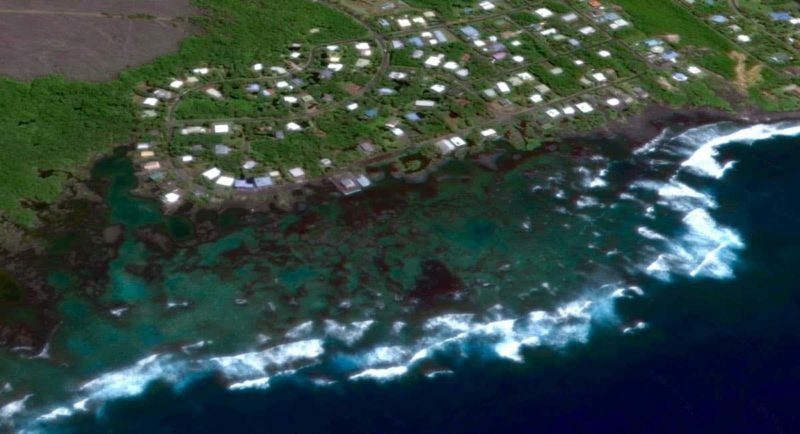 The tide pools front the residential Kapoho Vacationland subdivision, and there is no public parking available. Visitors to the tide pools must park at the entrance to the subdivision near the mailboxes and walk to the tide pools, a distance of roughly half a mile. There are no lifeguards on duty at the tide pools and public facilities are minimal: one portable toilet. There is also the issue of sanitation. Sewage from the residential units can leak through the water table into the tide pools. Water quality measurements found that DOH safety standards were exceeded in most tide pools (source). Don’t enter the water if you have a break in your skin, and read on for more information on hygiene and hot ponds. Read more about the Kapoho (Wai‘ōpae) tidepools at the hawaii.gov website. There are some hygiene concerns about the hot ponds on Hawaii. It is not unusual that the bacterial count in the hot ponds exceeds the EPA and state guidelines (source). This is mostly caused by the combination of poor sanitation in the area and large visitor numbers. Don’t enter the water if you have an open cut or infection. Avoid crowds: stay away during the weekends and visit early in the morning when the ponds have been flushed overnight by tides. Take a shower after you get out of the water and rub yourself clean. You can find water quality advisories for the state of Hawaii here.